Cooking class with Tupperware Inc. | Downside UP Ltd.
Home / Cooking class with Tupperware Inc.
Today Tupperware Inc. held a cooking class for our children. Under the guidance of the chef, the children learned to cook three summer courses: funny sandwiches, a "dynno-strawberry" drink, and a fruit salad. 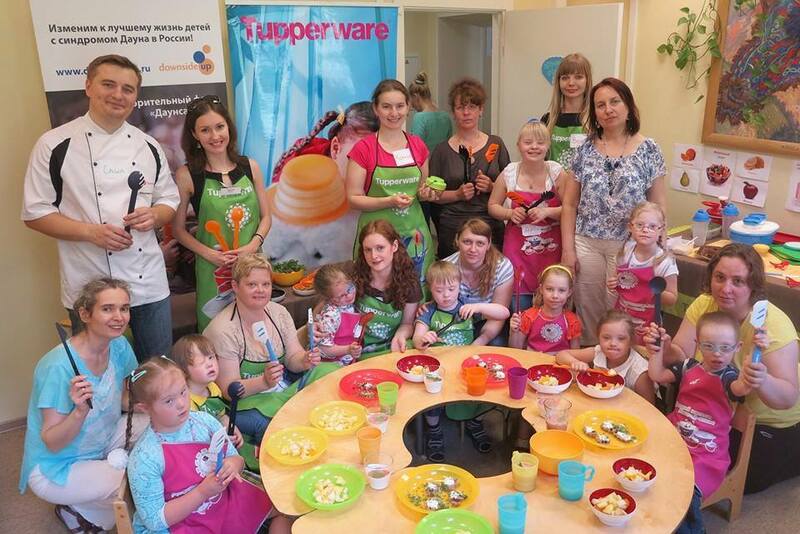 All products and utensils for the class were provided by Tupperware. The company also presented gifts to the children. The children in return gave souvenirs, made ​​by the kids at DSU. The class ended with a friendly tasting, during which everyone was treated - children, parents and teachers. We would like to shout out a huge thank you to Tupperware Inc.! What a great idea, and a wonderful example of active charity!